The beginning of most weight loss journeys start with a moderate to substantial weight loss. This is a very exciting time for most people if your goal is to lose weight. It gets exciting and you start re-evaluating goals and how long you think it will take you to reach those goals. 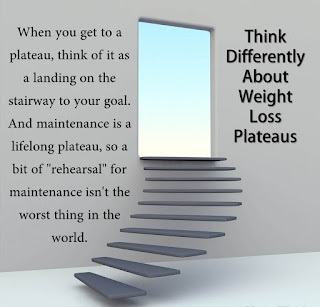 Inevitably, with any weight loss journey, you're going to hear about weight loss slowing down and weight loss plateaus. Without being too scientific (because I'm by no means, a scientist), basically what happens is as you lose weight, your body burns fewer calories in a day because it's carrying less weight. If you've lost the weight that you've lost so far by only modifying your nutrition and eating fewer calories each day, chances are you've lost some muscle as well as fat. As a result of having less muscle, your metabolism slows. If you've lost the weight by modifying your nutrition along with increasing exercise, your body may be changing even though the weight stays the same. To illustrate this, I'd like for you to see this picture. This is a picture of me while on my journey. 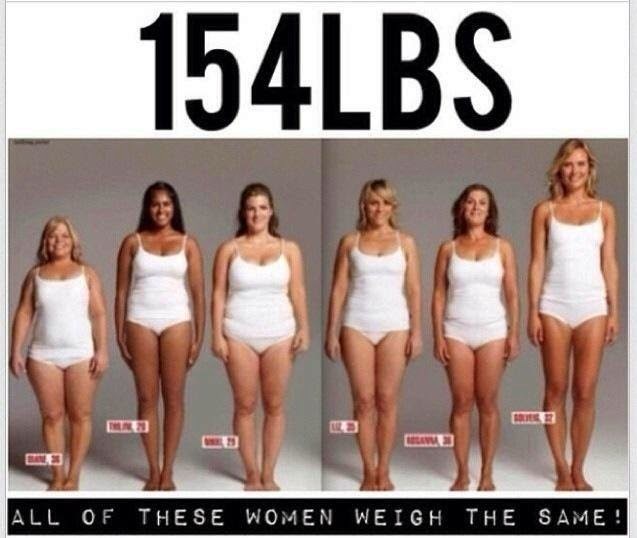 The difference in weight was only 3-5 lbs., but can you see the difference? I feel like it's obvious. This picture is of the difference in my arm because it's my favorite body part to show off but the difference was all over my body. My pants size changed, shirts were looser, and you can even see that my face changed. 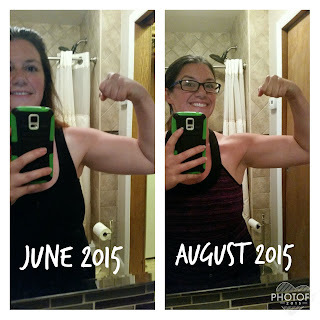 In my challenge groups, I'm always talking about non-scale victories. 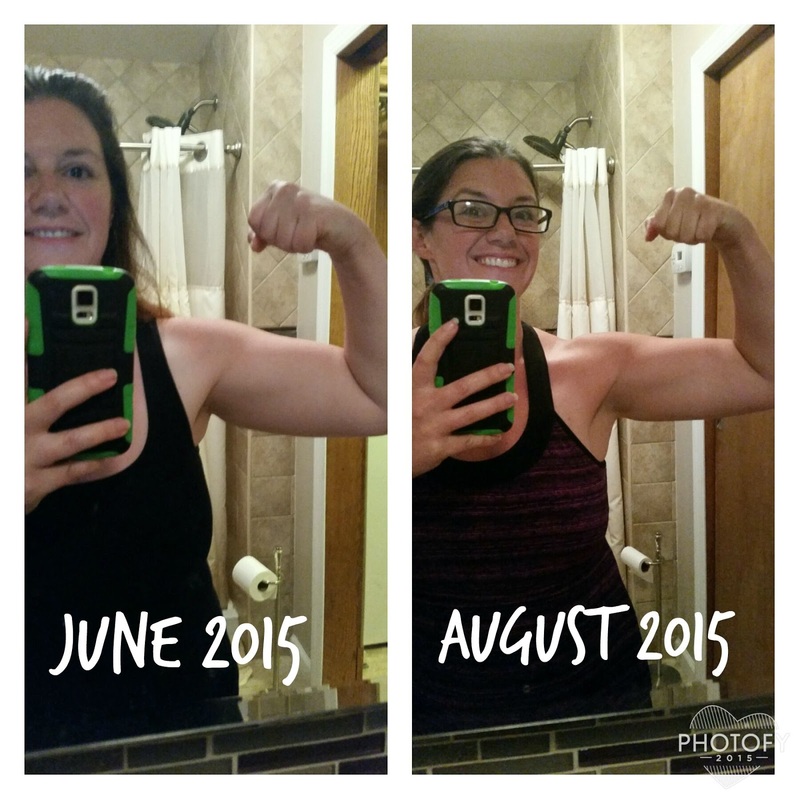 What are non-scale victories? They're the things that you're proud of that have absolutely nothing to do with Monday morning weigh in. Can you think of some of these things? Having to shop for clothes because your old ones don't fit, compliments you receive, fitting back into your skinny jeans, confidence, feeling happy with the way you look in pictures... there are so many. But why, despite all of these things, do we get so fixated on seeing the scale move? I think it's hugely because of our society. I've seen time and time again that women become mortified when I tell them that I need to know their starting weight to help track their progress. The number on the scale is about progress, not perfection. If you start a new food and exercise plan and immediately lose no weight at all, the plan may have to be adjusted a bit to suit you. Also, weighing yourself regularly is a great way to stay accountable and make sure that if you gain a few pounds, it gets corrected quickly and doesn't lead to gaining a few more pounds. My friends and I used to talk about our weight and how frustrating it is that the number on the scale was getting higher as we were getting older and having kids, and getting married, and various other things that led to larger versions of who we once were (lol). I've heard time and time again that women lie about their height to make their weight acceptable. I used to laugh and say that I lied about my height so I wouldn't be morbidly obese. I want you to consider the picture below for a moment. It's one of my favorites that at challenger of mine shared on a Monday morning weigh in. So how frustrating is it, as a woman, and a coach, and someone who is currently still on my own weight loss journey when that scale just doesn't budge. After hitting a plateau I re-evaluated my mindset and came up with a few things to take into consideration when you're feeling "stuck.". The first thing is when you really think about it, are you eating as well as you were when you first started? I've weighed within 5 lbs the whole Summer. I knew that I wasn't being aggressive about losing weight though and that my nutrition was not on point. I wasn't using my 21 Day Fix Food containers and was allowing myself to go off course on the weekend, or when people came over, or whenever I felt like being "social." I made a choice that I was okay with that. I would step on the scale every Monday and see what the damage was and be able to reset back to my weight or less by Friday, often to start the process again for the following week. Again, this was within a 3-5 lb fluctuation, not more then that so as to not turn it into a yo-yo which I was so used to from past failures when it came to losing the weight. 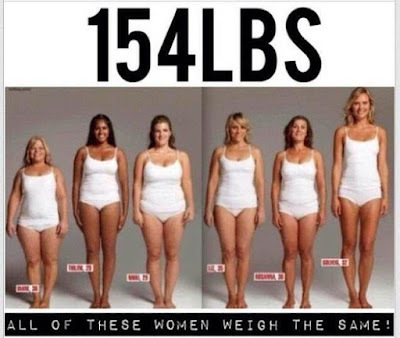 I've seen a few times now that when you weigh the same amount for a while, that becomes your weight. You might fluctuate 3-5 lb in either direction but when you eat normally, you will keep going back to this weight. When you go on what I've come to know as a "food bender" and just eat what you want for a vacation, or a weekend, or whatever, you're sure to go up a few pounds but I've come to call this weight visiting weight because if you keep weighing yourself consistently and get on right back on track, it will come off in a few days to a week. The next thing to think about is are you working out as much as you were when you started? Are you working out harder than when you started? As you get more comfortable with your weight, and the way you look, it gets easier to start skipping workouts or going for the easier workouts and that's perfectly okay if you decide you're happy with your current weight. 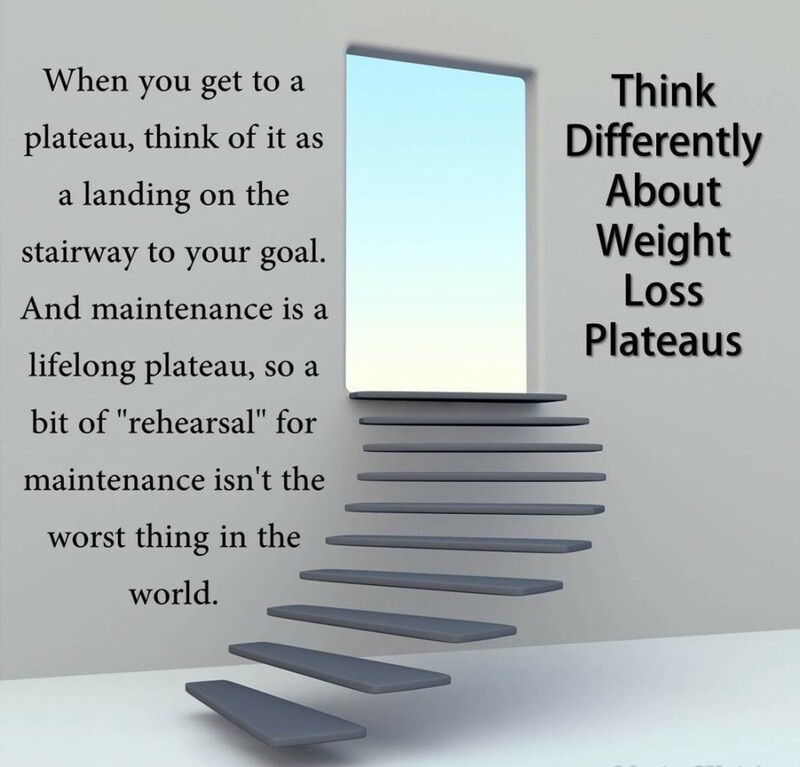 I think it would be better to go for the easier workouts instead of skipping them if you're in a maintenance phase so as to not allow old habits to creep in but lets be honest, life does get in the way sometimes. However, if you want to lose more weight or continue to see improvement, it's important to know that you must continue to increase the intensity of your workouts. This means increasing your weights (NO! You won't get huge for increasing your weights ladies!! ), or the number of breaks you take, or the amount of time you work out. Sometimes you don't have to increase the time (I'm all about 30 minute workouts), but you just have to change it up. We've all heard that your body can get used to a specific workout and you'll stop seeing results. Lucky for you, there are so many options and I can absolutely help you find one that will help you keep seeing results. If you've found your soulmate program (Mine is absolutely 21 day fix) this doesn't mean you have to give away the DVDs... just do a month or 2 of something else and come back to it. Another thing that may effect your weight loss is stress and lack of sleep. When your body is stressed or not rested, it releases cortisol which makes your body store fat. This stress or lack of sleep may be something beyond your control but know that once your sanity is restored, you may continue to lose weight. I know first hand that plateaus can be frustrating but it's so important to not allow yourself to go back to bad habits. Reconnect with the reason you started. I hope it wasn't just to look better in a bikini lol. Think of how far you've come and how much healthier you are. Think of how much more comfortable you are in your skin or who you're doing it for (or who's watching you do it, I do it so my daughters can lead a healthy lifestyle). I hope you have the support you need to keep going on your journey. If you don't, please come talk to me. 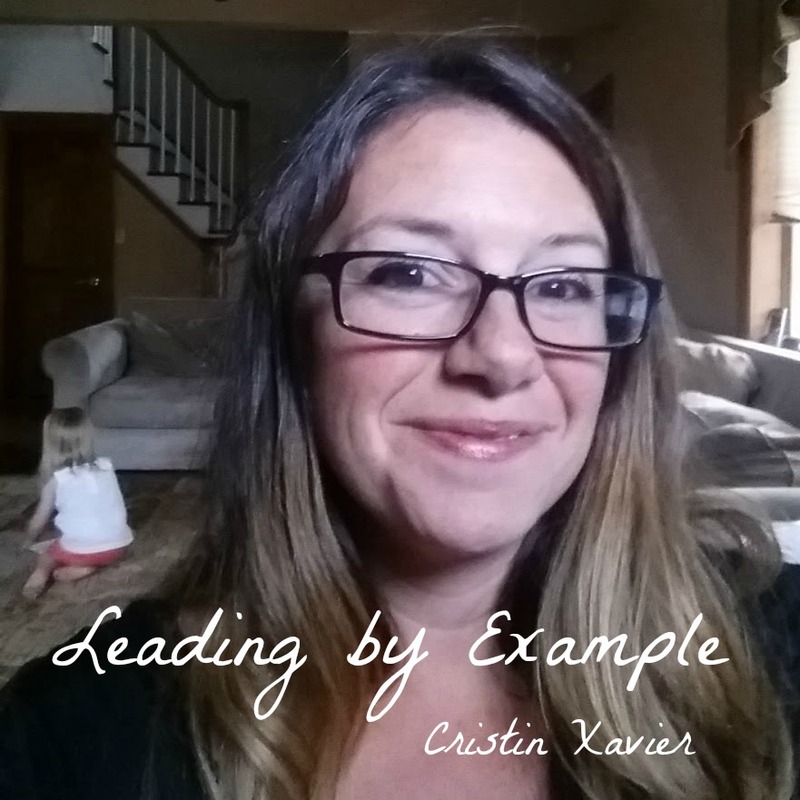 I'd love to be your coach and help you! Remember that you're changing your life, not just your waistline. In the end, once you reach your goal, you will want to stay at that weight, so think of this as training to stay at a weight for a while. The fact that you're not yo-yoing like you have in the past is a success in itself so celebrate that!! Speaking of celebrating! Fall is almost here so I'd like to leave you with one of my favorite fall recipes. 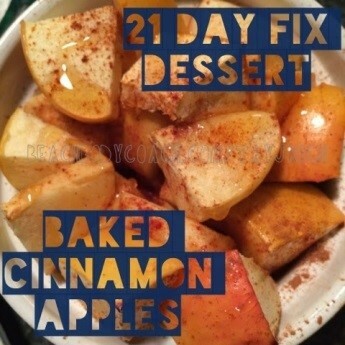 It's 21 day fix approved so feel free to enjoy it even if you are at a plateau. Enjoy!! Preheat oven to 400. Chop up apple into bite sized pieces. Place in oven safe dish. Layer with Vanilla Extract, Cinnamon, Nutmeg, and Ground Cloves. Add tablespoon of coconut oil on top and bake for 15 minutes. Add some honey on top if you’d like.